Teaching learners to write using sensory language can seem a little tricky. 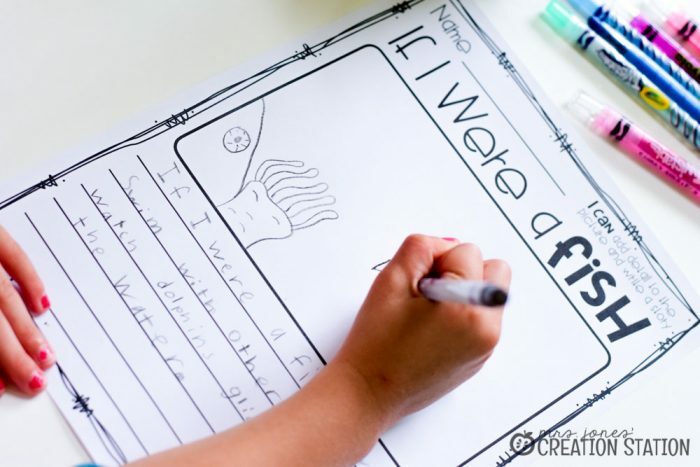 This simple writing activity allows your writers to read a story where the author’s use of sensory language helps bring the story to life. I love this story from Bob Barner (and so many of his other books, as well). 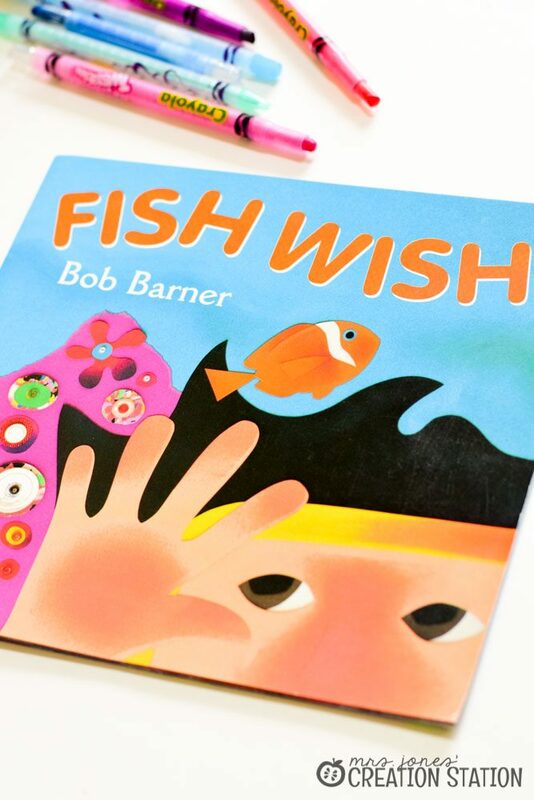 This book models amazing sensory language that puts the reader inside the story. For this activity begin by reading the story aloud to your learners. 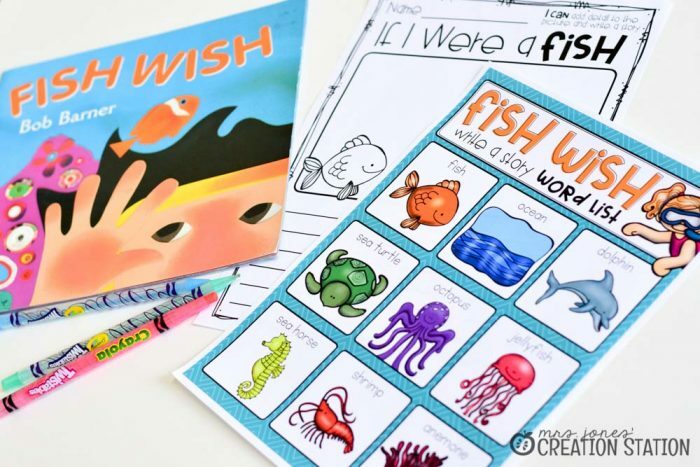 This allows your learners to enjoy the story as well as the pictures in the story before digging in a little bit deeper. Then, have your learners close their eyes and read the story aloud again. Why? Ask them to picture in their head what it would be like if they were a fish. Tell them to listen to the words the author uses to help them picture the story. Once you’ve read the story aloud a second time, begin a discussion with your learners. Were there any parts of the story they couldn’t easily picture in their head? Use their examples or pull some of your own to give examples of sensory language in writing. Next, introduce you learners to the word list of nouns from the story to help guide their writing. 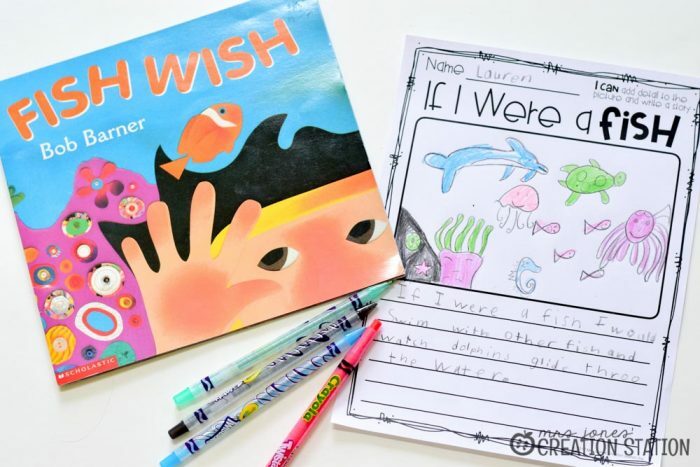 Now, have your learners write their own version of the story. 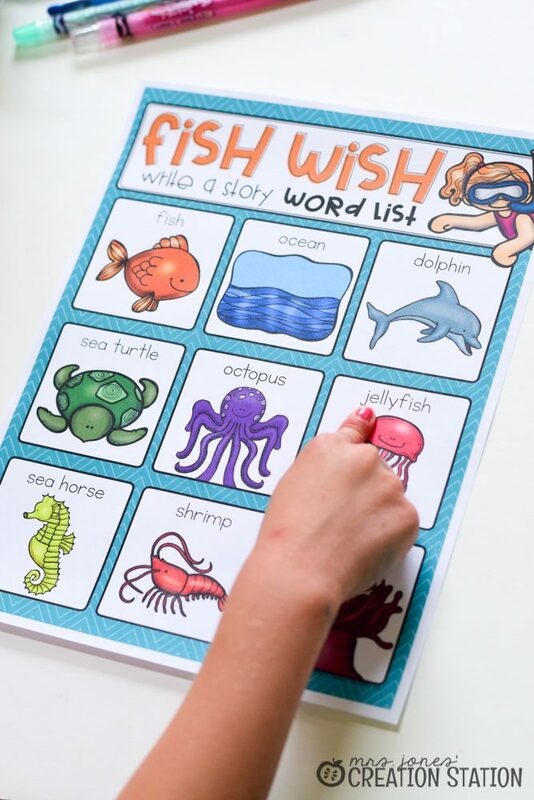 Create a purpose for writing by having them focus on what words and phrases they can use to help put the reader into their story. Did the dolphins swim around or glide through the water? Was the water dark or were there shimmering patches of light? Finally, have your learners read their story to each other or create a gallery of stories. Have learners walk from desk to desk reading others’ stories. Task them with looking for examples of writing that help them picture the story because of the words or phrases that were used. Setting a purpose for writing will help your learners focus on their writing. It will also allow them to model this type of writing in their other stories. 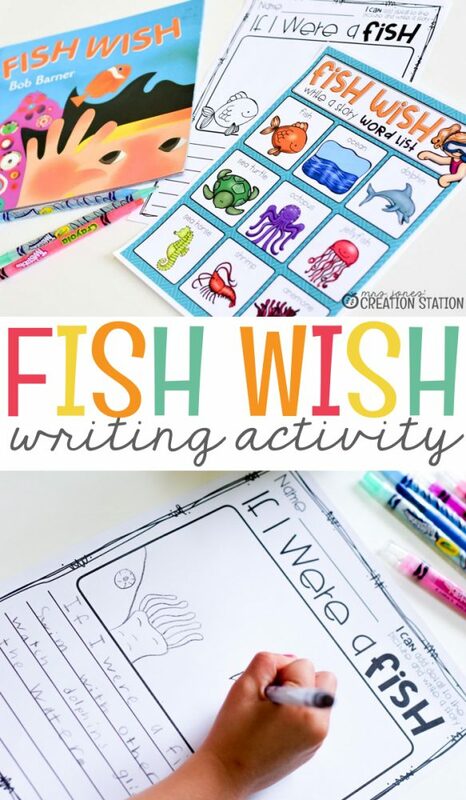 You can download the printables used in this writing activity by clicking on the download button at the bottom of this post.